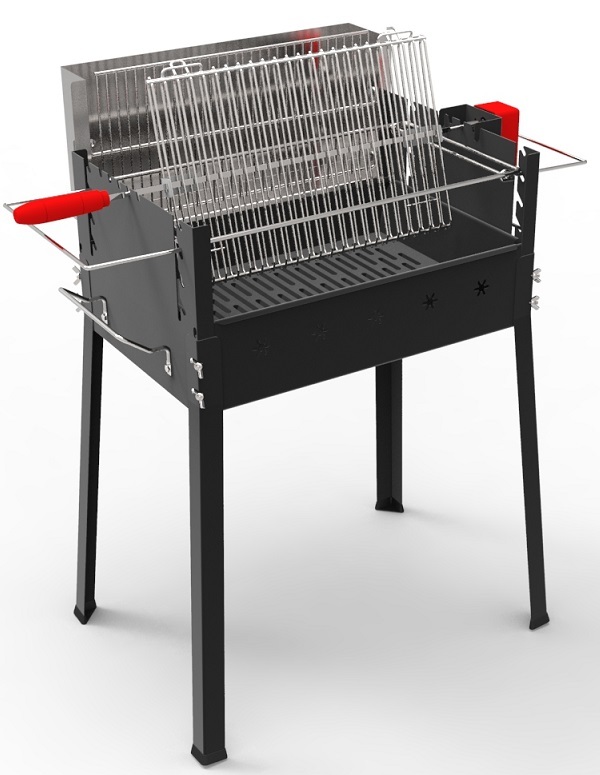 Rectangular barbecue with a 56 x 35 cm grid. 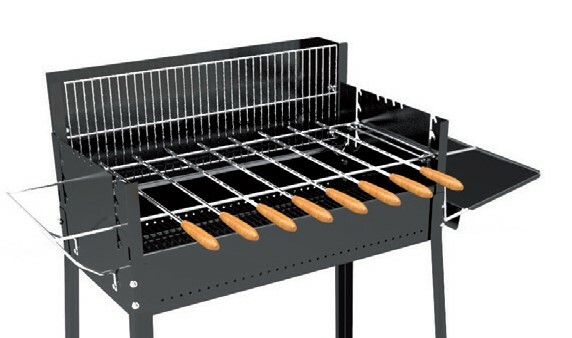 Vertical fire cooking without dripping fat and annoying flare-ups. 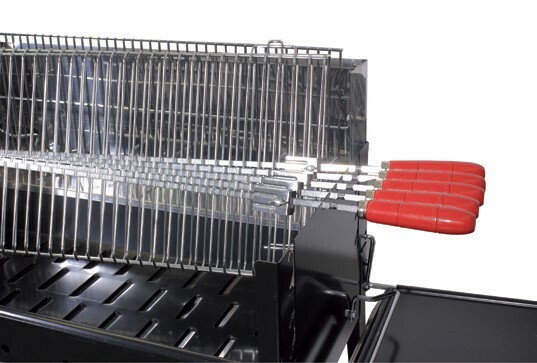 VERTIGO, in the Basic version, is a new line of products that is perfect for vertical cooking to avoid any annoying flare-ups. 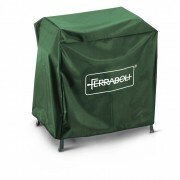 Behind and beneath the cooking area the barbecue is provided with two compartments for either charcoal or wood, so you can alternate vertical or traditional cooking as you want. 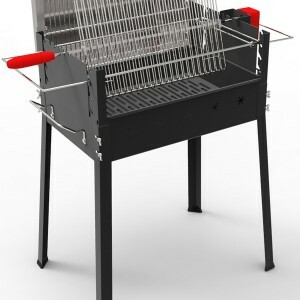 It also has two chromed steel food grids: one can be turned with a central rod (a small motor is optional) and it can be positioned at different distances from the rear vertical fire, while the classic food grid can be positioned on a wire frame at four different heights, depending on the way of cooking that you prefer. 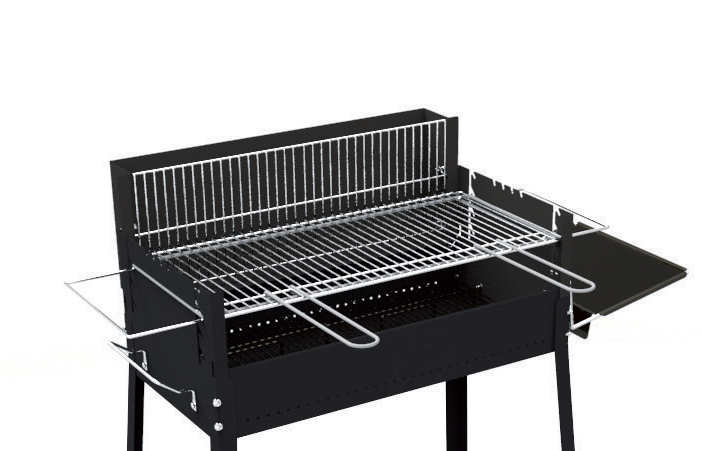 The barbecue is provided with a side shelf, very convenient when preparing food. 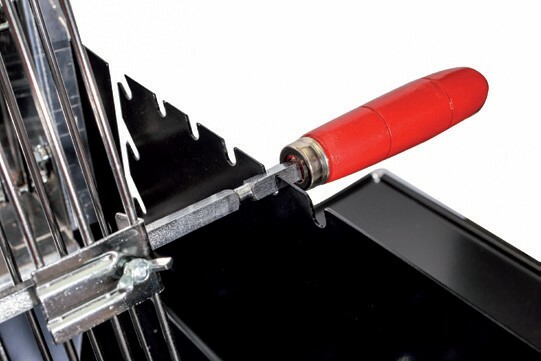 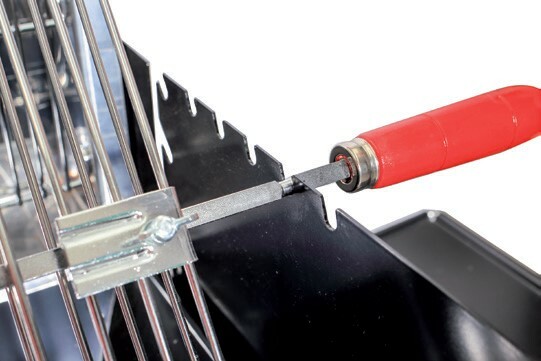 In addition to the small motor, you may include the following optional accessories: a fat-collecting grid, some skewers or even the useful automatic Giraspiedini (skewer turner).